Pagination helps us to limit the data on a single page. It allow us to manage data on our page. So paging is an important part of the complex database driven web application. It also makes website faster and easier to handle. 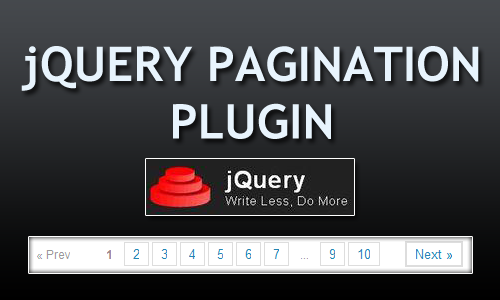 If you want to create a nice paging, you can use one of these popular jQuery pagination plugins. This is a nice collection of jQuery pagination plugins that are free to download and use. You can use all these plugins for commercial and non-commercial applications.